Walter Kellogg of Shirley, 57, threatened to harm himself with a knife, then turned the knife on an officer, who fired his weapon, officials say. SCPD are investigating a police-involved shooting that killed a man in Shirley. 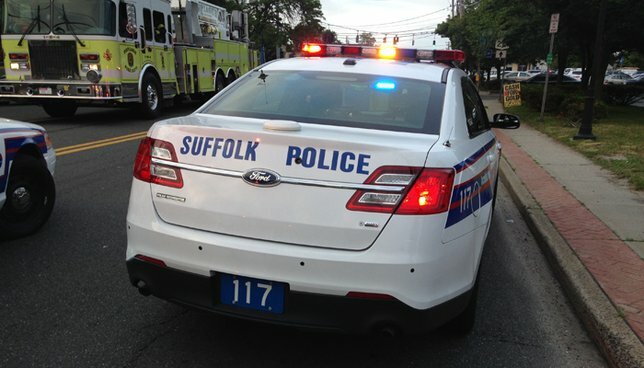 Shirley, NY - December 17, 2018 - Suffolk County Police Homicide Squad detectives are investigating a police-involved shooting that killed a man in Shirley on Saturday, December 15. Seventh Precinct police officers responded to a 911 call regarding an agitated suicidal man on Rockledge Drive at approximately 12:30 p.m.
Walter Kellogg, who has a history of mental illness, threatened to harm himself with a knife, began cutting himself, then turned the knife on the officer, who fired his weapon and struck Kellogg. Kellogg, 57, of Shirley, was transported to Long Island Community Hospital in East Patchogue, where he was pronounced dead. Subject: LongIsland.com - Your Name sent you Article details of "Suffolk County Police Report Man Killed in Officer-Involved Shooting"